Nook is just charming, minimal and full of irresistible homewares. There are simple well made items, lots of classic kitchenalia and many beautiful, useful pieces for the home. 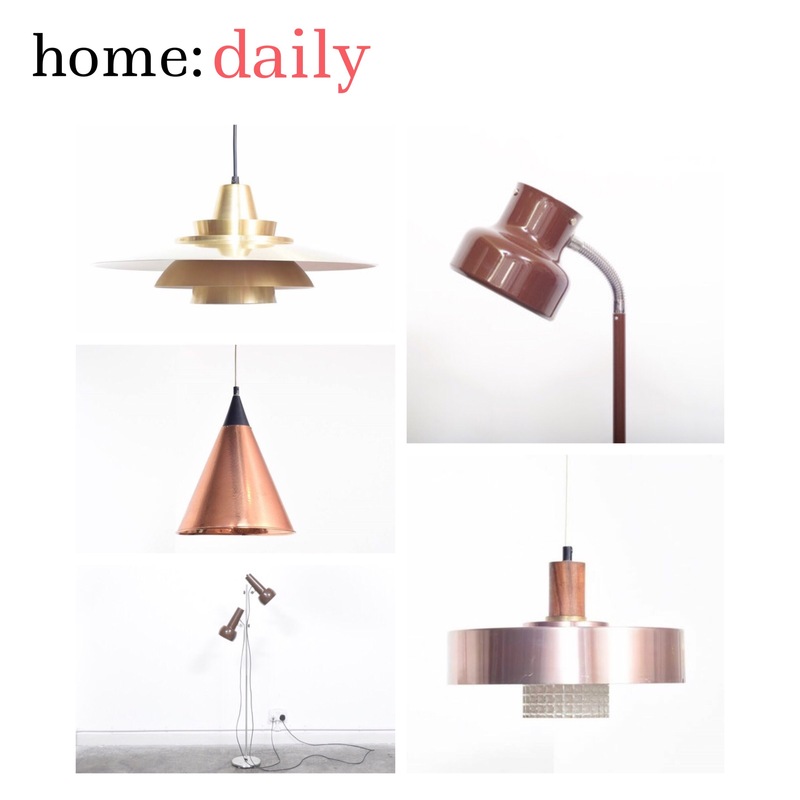 The store based in Stoke Newington, London, and also online, opened in 2012 by three friends. It’s a beautifully curated selection of pieces for each room in the house plus lovely extras like the ‘chocolate makers‘ department and they even offer a wedding list service. Products are from the UK and beyond, with focus on strong design and being ‘built to last’. 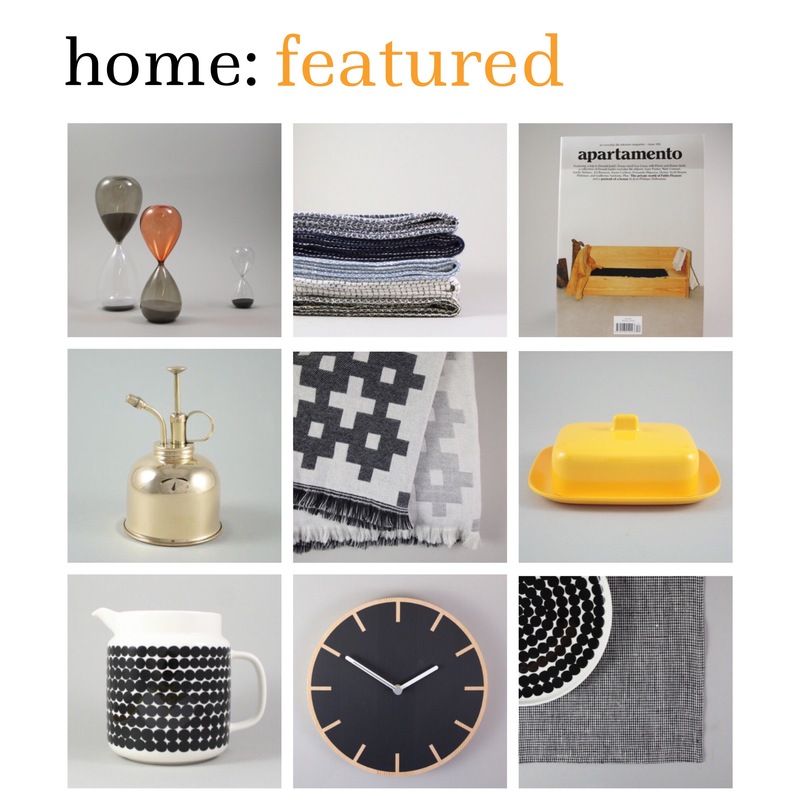 The ranges include pieces from designers and makers including James Brown, Baggu, Ferm Living and Hay. 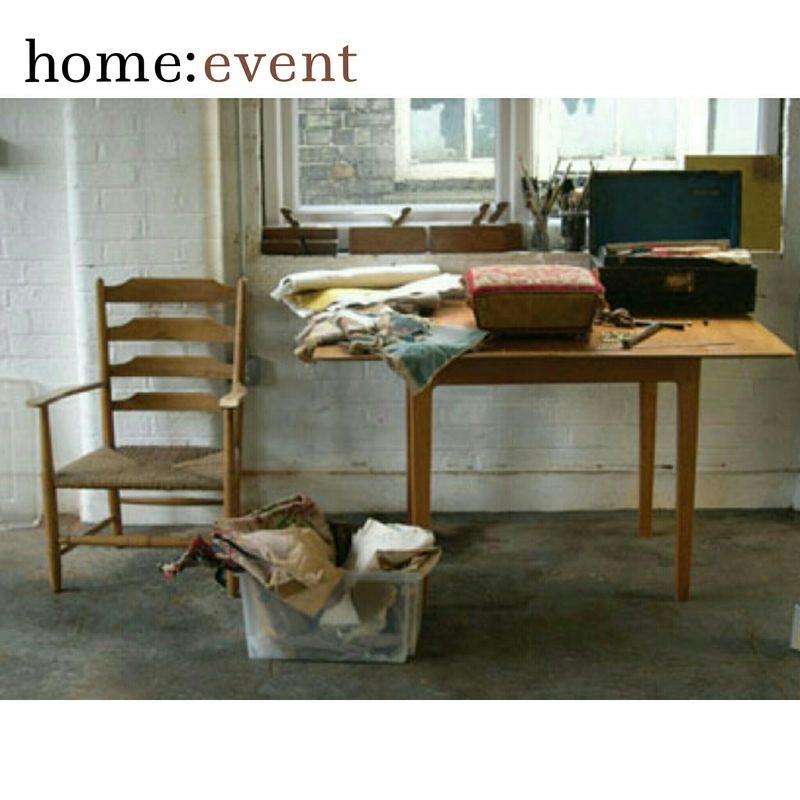 The School of Stuff is a studio dedicated to teaching furniture crafts in Dalston, with courses including cabinetmaking, furniture restoration, upholstery and rag rug making. Based in an old industrial building on Shacklewell Lane, The School of Stuff is a great place to try your hand at a new skill, with all courses run by experienced tutors. You can choose anything from a weekend taster up to a two year course, which means there’s something for everyone. Head to theschoolofstuff.co.uk to see availability and prices. John Lewis, and other lovely stores across the UK and world, have a gorgeous brand under their belts. Miss Print is a ecological, UK based creative brand who support UK manufacturing industry and their local community. 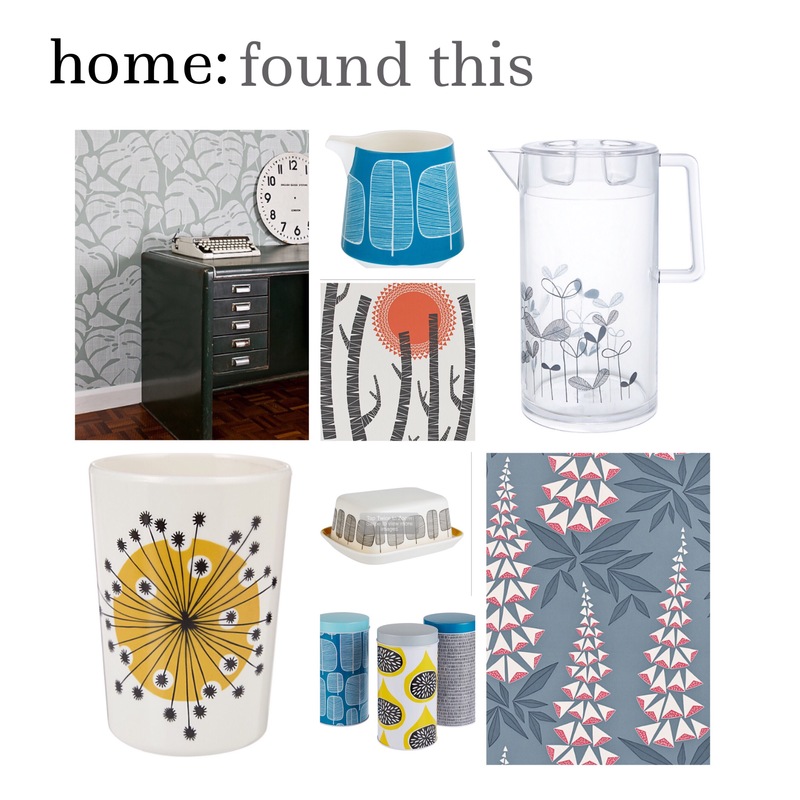 Head to John Lewis and explore the wonderful range of homeware, fabrics and wallpaper – contemporary with definite hints of inspiration from both Scandivian and midcentury designs. It’s that time of year when the outdoors starts to come into full colour, and our homes should be no exception. 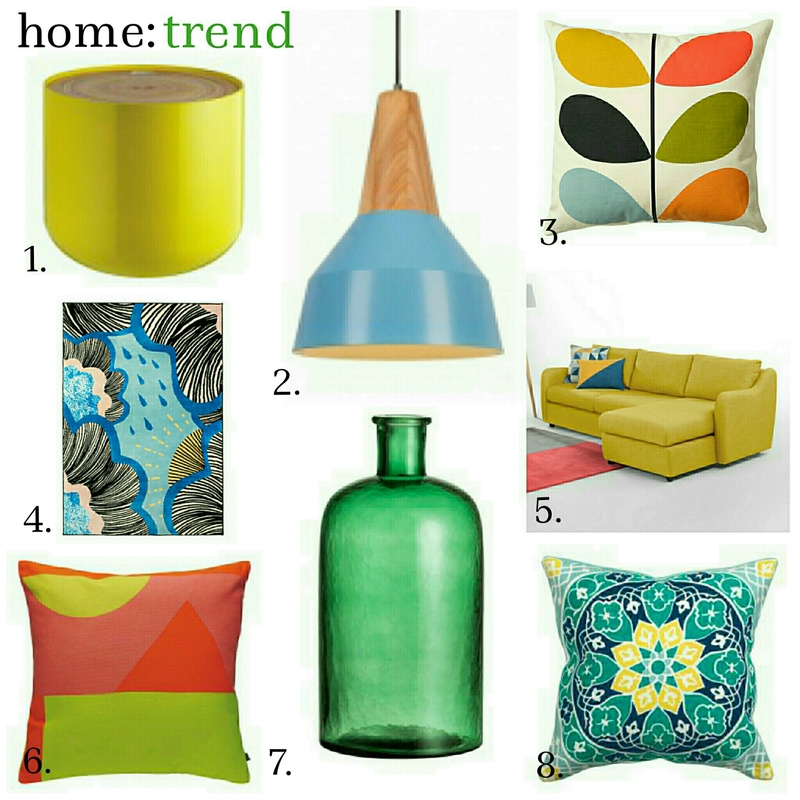 Spring Living brings a fresh and uplifting feel to a home, with the emphasis on colour – bright colour! Vivid tones of blue, yellow, red and green clash with each other, paired with digital floral patterns. Give your room a vibrant look with a statement sofa in lemon yellow, lay a multi-coloured printed rug or arrange a selection of glass bottles and vases in varying colours to hint at this trend. Go crazy or keep it subtle, it’s up to you. Furniture should be sleek and simple, either in one bright colour or in light tones of wood like bamboo or white melamine, adding pops of colour through accessories. To create a unique and affordable stylish floor, try floor stencils or decals. When you’ve fallen for some beautiful, but expensive, moroccon tiles or maybe want to recreate a Victorian floor or simply love the look of patterned floors, stencilling or decals are a great way to reproduce the look yourself at a fraction of the price. If you’re lucky you already have decent floor boards to use as a base, these would need to be thoroughly cleaned and lightly sanded to ensure the paint takes to the surface. If the floorboards aren’t in decent shape then you could look to lay a plywood covering to provide a smooth layer to paint onto. You will need a good water based paint or floor paint and a good floor varnish to finish and seal. If going for a decal, again, the floors would need to be prepped – clean and smooth, and a good varnish will ensure its long lasting. Cutting Edge give a useful how-to guide, as do Royal Design Studio Stencils – and head to Apartment Therapy for ten gorgeous stencil design ideas for inspiration. 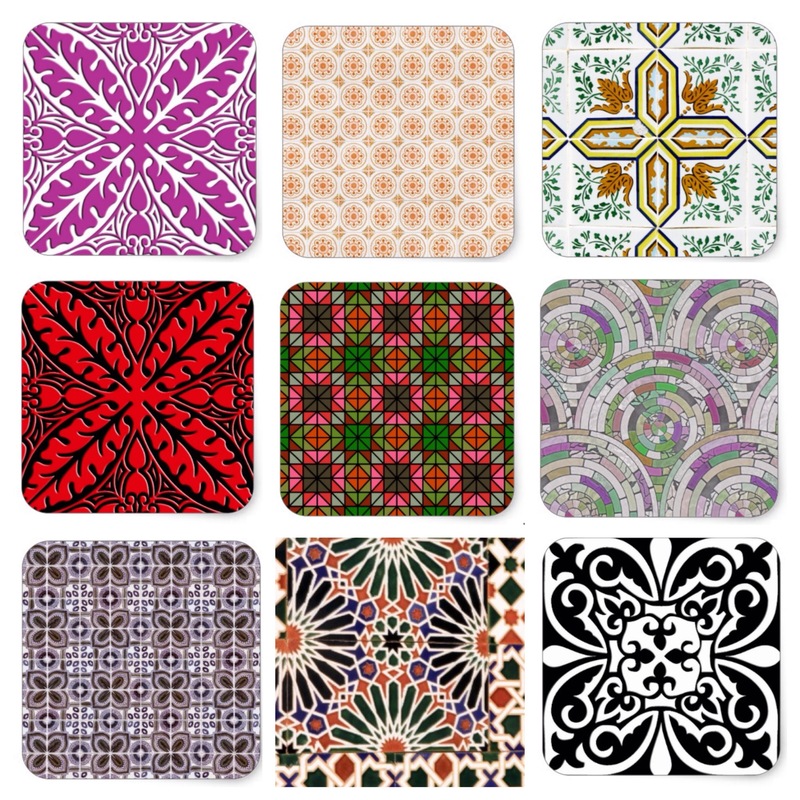 Be inspired by current trends of geometric, lace and monochrome for an up to date look or even look into designing your own decals or stencils that you could lay to create your perfect floor from Pixart Printing or have a look at the range of tile style decal stickers from Zazzle. 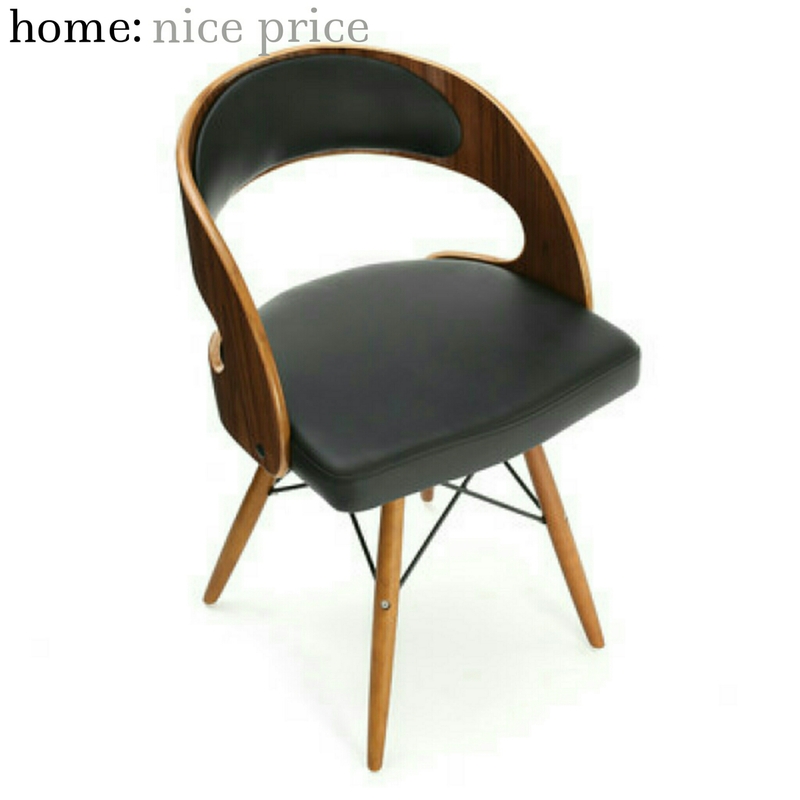 This attractive desk chair has bags of style as well as functionality. Well made and comfortable, this chair is given a warm, walnut veneer finish that complements the black leather effect seat and back rest.